Schwartz & Wade, 9780375870880, 184pp. Patricia C. McKissack is the author of The Dark-Thirty: Southern Tales of the Supernatural, a Newbery Honor Book and a Coretta Scott King Award Winner, and its companion, Porch Lies: Tales of Slicksters, Tricksters, and Other Wily Characters, an ALA-ALSC Notable Children’s Book. Ms. McKissack has also written many award-winning picture books, including Goin’ Someplace Special, a Coretta Scott King Award Winner; Mirandy and Brother Wind, a Caldecott Honor Book; and Never Forgotten, which received five starred reviews. Brian Pinkney received a Caldecott Honor for Duke Ellington by Andrea Davis Pinkney and for The Faithful Friend by Robert D. San Souci. 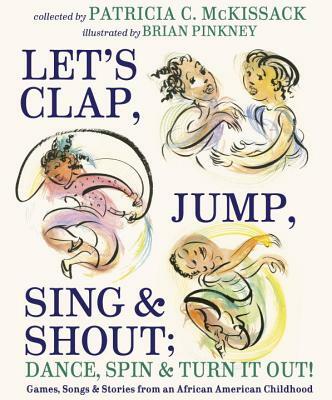 He has illustrated many highly acclaimed books for children, including Hand in Hand: Ten Black Men Who Changed America by Andrea Davis Pinkney, a Boston Globe–Horn Book Honor Book, and In the Time of the Drums by Kim L. Siegelson, a Coretta Scott King Award Winner. He lives in Brooklyn, New York, with his wife, Andrea, with whom he often collaborates, and their two children. Learn more at brianpinkney.net.